﻿Testimonials for my group Sound for Relaxation and Meditation evenings (Gong Bath) can be viewed on the Event/Sound relaxation page﻿. Click here. I so enjoyed working with you. It was exciting taking a journey inside myself through sound. Your presence is total an﻿d your energy so nurturin﻿g. I always came away feeling centred, calm and whole. It was as powerful as any acupuncture treatment I've ever had. I hadn't anticipated how healing simple sound could be. Sound healing? Hmm, if I'm honest, I was not sure what to expect and was not very sure whether it would make any difference to me! I love to go for massages and heat treatments, where you can really feel it working, but with sound healing I was much more sceptical. I arrived one evening, totally hyperactive, after a busy day at work and a stressful drive in traffic, and I wondered, will I even be able to relax tonight? I lay down and began hearing the sounds, it was energising, it gave me tingles on my skin. Quite quickly I was relaxed and at the end, I even fell asleep! I had a knee injury that kept getting agitated at the gym and, I was amazed to tell Georgina that, before my third session my knee had stopped irritating me when I was running again without pain (it's not been back since). This has been a truly amazing and enlightening experience, I cannot recommend it highly enough. Beware the sceptics, as this may change your mind! I recently undertook sound healing therapy with Georgina. I had gone to see her when I was at very low ebb, I was trying to resolve some stress issues relating from my job, as well as hypertension and anxiety attacks. Although I was already on medication for the hypertension, I was also open to alternative therapies. The issues I had been experiencing were exacerbated as I had also fractured my foot in a fall and my leg was in plaster. With Georgina’s help I was able to talk through how I was feeling emotionally before she carried out the sound healing. I found the therapy to be completely relaxing – I experienced a slight floating sensation during some of the sessions – and I felt I had been in a very deep sleep. After the sessions I felt the anxiety I had been experiencing had lifted. My body also felt different. In my joints and particularly along the side of my foot where the fracture was I felt a very warm tingling sensation during the sessions I had with Georgina. I believe that this, along with the rest and the pain relief the hospital had prescribed, helped the healing of my foot immeasurably. The hospital had predicted I could be in a plaster cast for up to 8 weeks but I was out of the cast within 5 weeks. This was highly beneficial to me as I was struggling with movement using the crutches I had been given by the hospital. I would highly recommend sound healing therapy and Georgina in particular. I have continued to use the techniques Georgina discussed with me during the sessions to take better control of my life. I’m now walking again without any assistance and I also managed to go for a run at the weekend. My blood pressure is close to normal and I have the confidence to raise issues at work when I am feeling stressed. It has been a turning point for me – something that had such a negative aspect on me (broken foot and high blood pressure) can now be seen positively and I believe others could benefit from the help Georgina could give you too. Georgina creates a safe space where I feel comfortable to talk. The treatments are deeply relaxing and it was lovely to hear the sounds and to relax into the silence. I feel different, more energetic, more positive and more focussed. I've got my spark back. 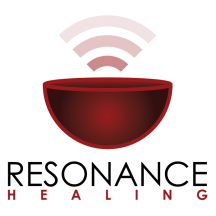 I had no idea that sound healing could be so amazing and the cumulative effect is fantastic. Georgina creates a beautiful space where human sounds transport your consciousness, forgetting where you are in time and space. She gave me a course of four sessions, where I felt like I was soaring blissfully in the sky or sometimes an inward journey took place, finding and becoming aware of the balance and harmony within. There is a feeling of profound peace during her sessions and rather wonderfully I felt completely safe and held, I could really let go of physical and emotional tension. Georgina's intention is to heal - that was felt deeply as I let the sound of her singing voice, special tuning forks, and crystal singing bowls swirl around me - and as I went back out into the world I took a renewed sense of myself in accord with all around me. I don't know why or how Georgina's sound healing sessions work, but they do! Georgina always displays warmth and sensitivity, and immediately makes you feel comfortable, and the sound healing itself is a very powerful yet calming process. I would highly recommend both sound healing and Georgina herself. Arriving for my first sound healing session I was a little skeptical as to whether or not it would make a difference as I had not experience sound healing previously. I felt fidgety and stressed, suffering from prolonged backache and I was a bit down. During the session my feelings went way beyond relaxation. The words that came to mind were the words from a Christmas Carol “comfort and joy”. I felt safe. Hearing Georgina singing my name felt empowering and joyful. I felt weightless, feeling that the clutter in my heart and mind had been cleared, washed and tidied up. After the session I felt different, a happier person. I slept well that night and got up early the next day charged with a new energy. My energy levels were higher for the rest of the week and I slept better, breathed better (I suffer with asthma) and the backache has not come back. I have had three more sessions since and each one affected me in a different way and was as physically, emotionally and spiritually uplifting as the first. I would recommend sound healing as a therapy, and particularly Georgina, as she creates a safe and nurturing space.